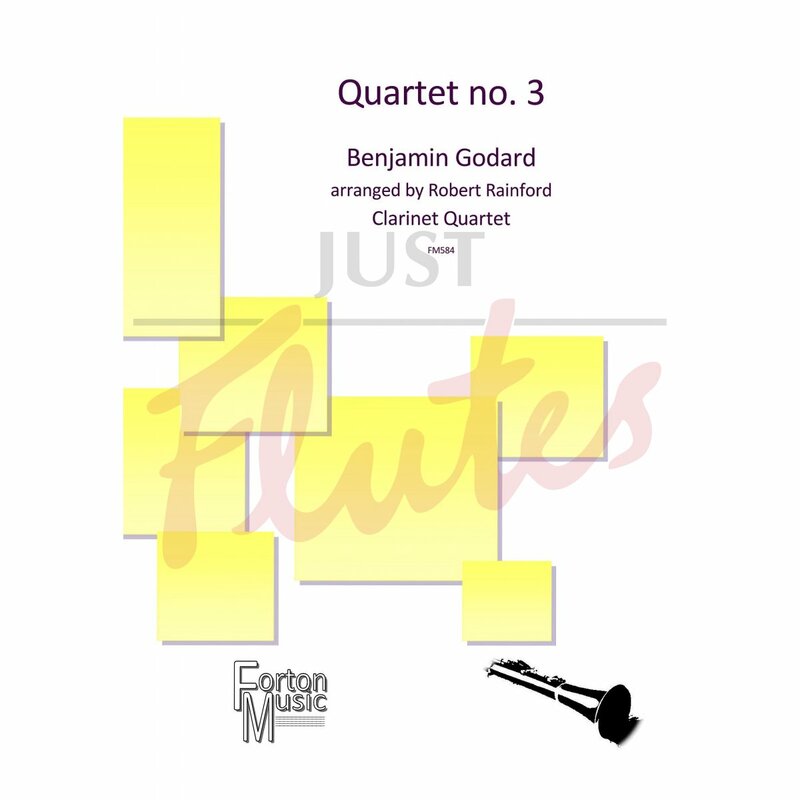 This is an arrangement of Godard's third and final string quartet for clarinet quartet. It was originally published in 1893 towards the end of the composers life, and shows us all the traits of late romantic French chamber music. The first movement is lyrical and flowing, with rich chords and unexpected harmonic twists. The second movement is languid and dreamy, featuring a soaring bass clarinet solo in the middle of the movement. The third is almost like a minuet, featuring a florid melody in the first clarinet supported by the other instruments, and the final movement uses driving triplets and rhythmic unison passages to create urgency and excitement.